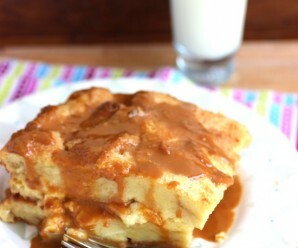 Bread pudding is one of those recipes that many people have memorized and can throw together without a second thought. 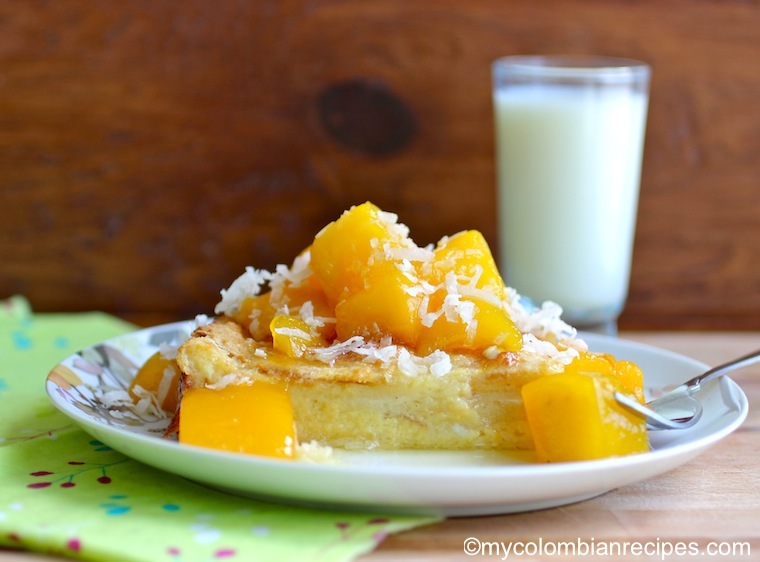 My mom would make Colombian bread pudding effortlessly for an after school snack and we loved it! I know how to make a few desserts from memory and most of them are very easy and simple, while sometimes I like to be more creative and experimental with desserts. This means an occassionly recipe disaster, but being desserts, someone will usually eat the mess. Like I’ve said before, baking is not my thing! My most recent attempt at a dessert however, was not a disaster, on the contrary, I am happy to say. 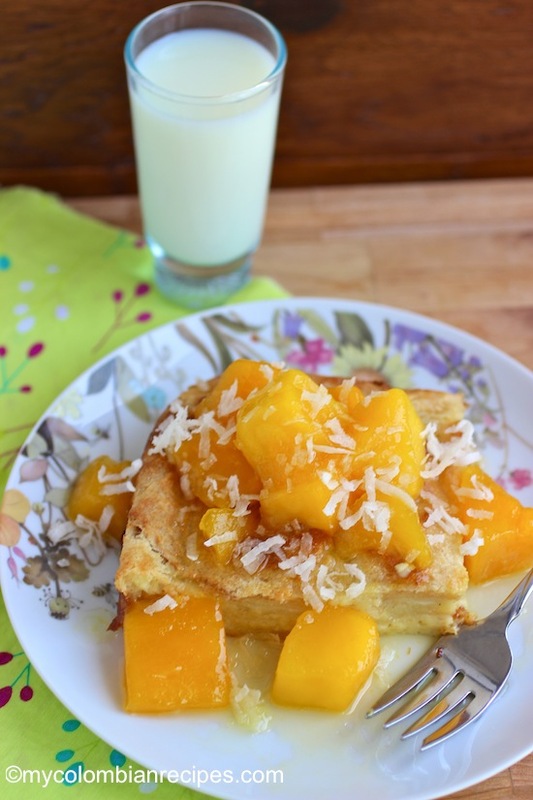 I made a Coconut Bread Pudding with Mango Sauce last week and it was fantastic. 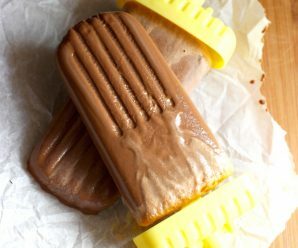 This recipe is very easy to make and can be almost entirely prepared in advance, while the final assembly can be done right before serving. Place the bread in a large baking pan and bake in a 400° F oven about 5 minutes. In a large mixing bowl, whisk together the coconut milk, condensed milk, cocont extract, cinnamon, and the beaten eggs and mix well. Add bread cubes to milk mixture. Let it stand for appromaximately 20 minutes or until bread absorbs most of the mixture. our the bread pudding mixture into a baking pan. Bake uncovered in a 350° f oven for 1 hour or until a knife inserted into the center comes out clean. To make the mango sauce: In a medium saucepan, over high heat, boil the water, sugar and cinnamon stick, Add the diced mango and the lime juice. Bring to a boil and reduce heat to low, simmer until the liquid reduces and the sauce thickens, about 30 minutes. Stir occasionally to avoid burning and set aside. 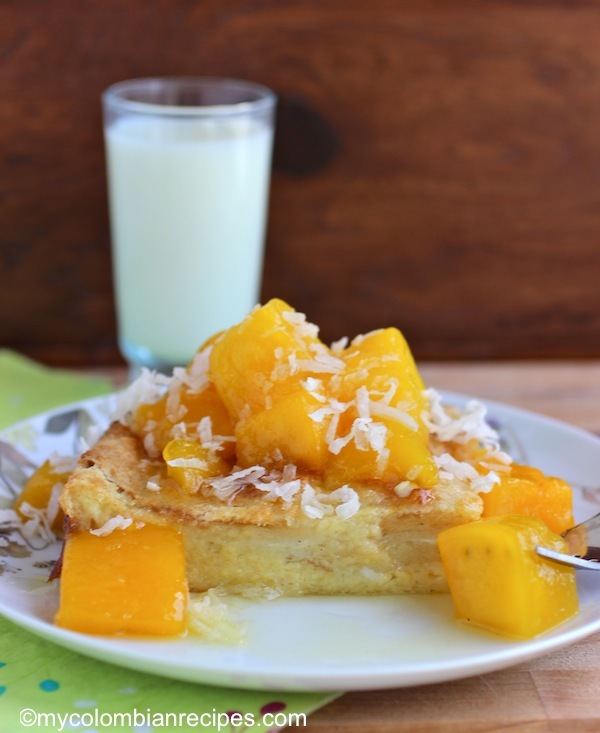 Top the bread pudding with the mango sauce and grated coconut and serve. Oh my …. 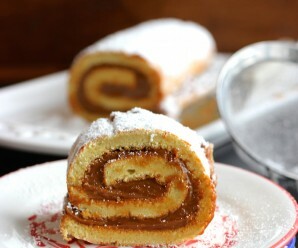 this is so easy to make and looks so so delicious. I love anything mangoes and I love anything coconuts. I do have to try this. 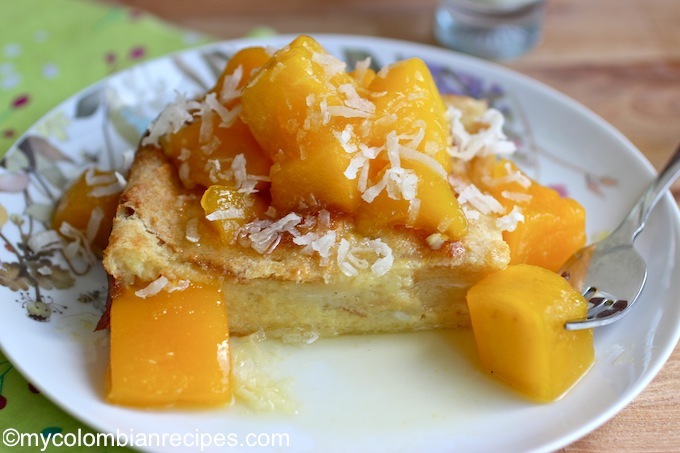 Que rico – I love bread puddings and mango is my all time favourite fruit so I know I would love this! Oh I ADORE bread puddings and this is such a keeper. 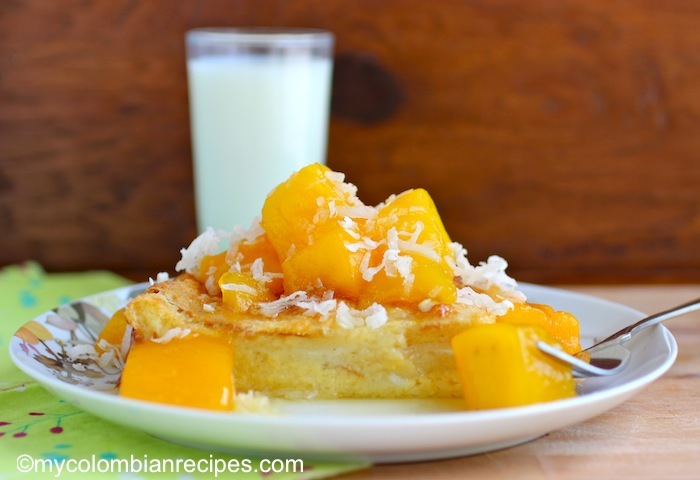 Coconut and mango is a great addition to the concept. this looks tremendously dense and rich, what a wonderful version of bread pudding! coconut is the best. There goes my diet, bye-bye! 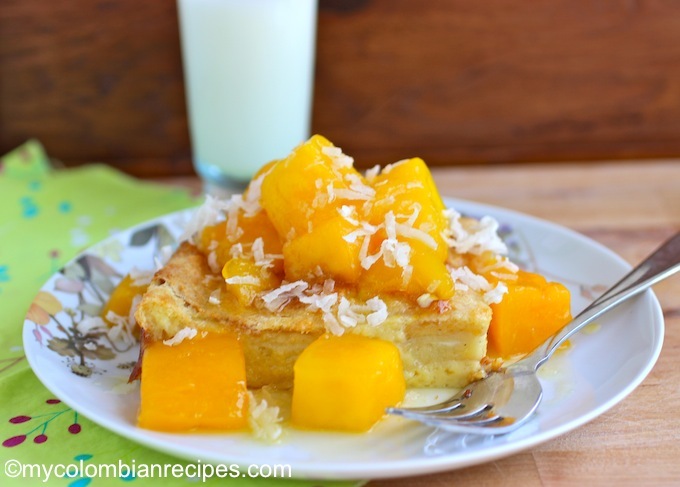 Hi, for the coconut bread, is it sweetened condensed milk or just condensed milk which is not as thick.